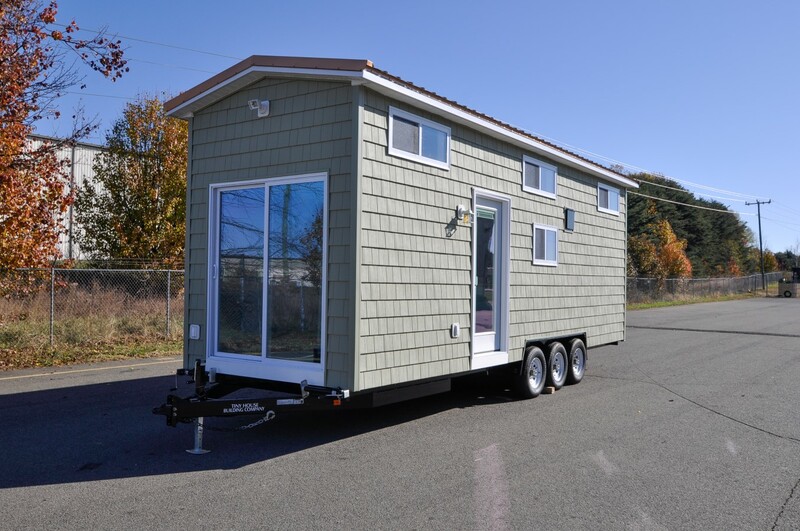 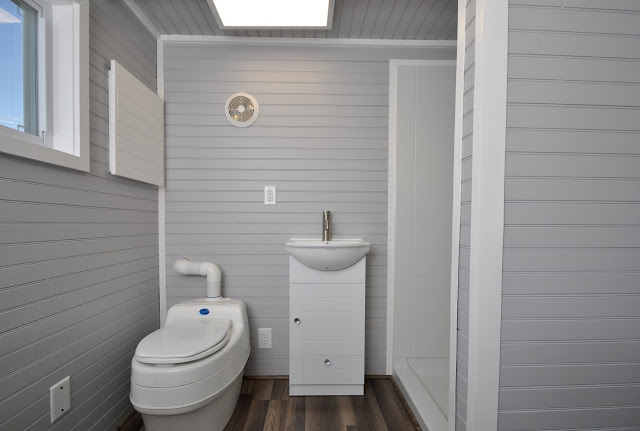 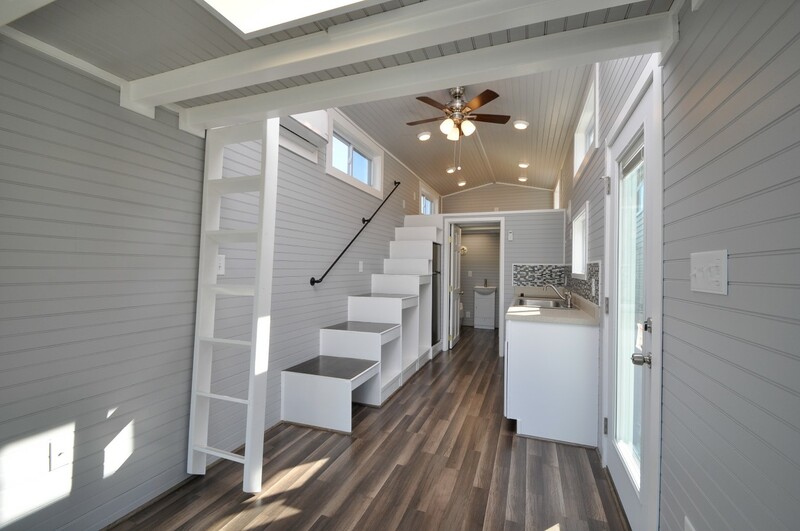 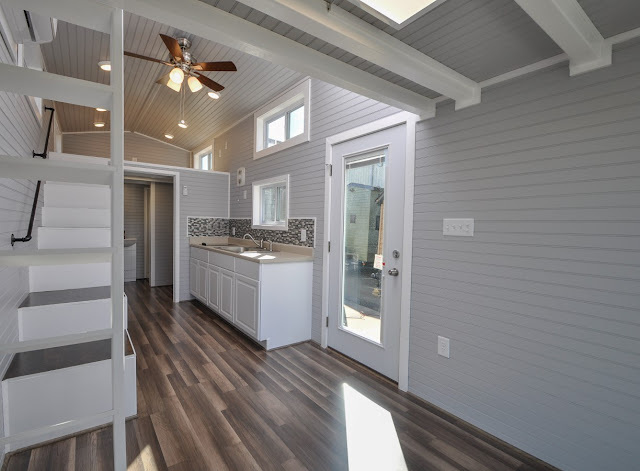 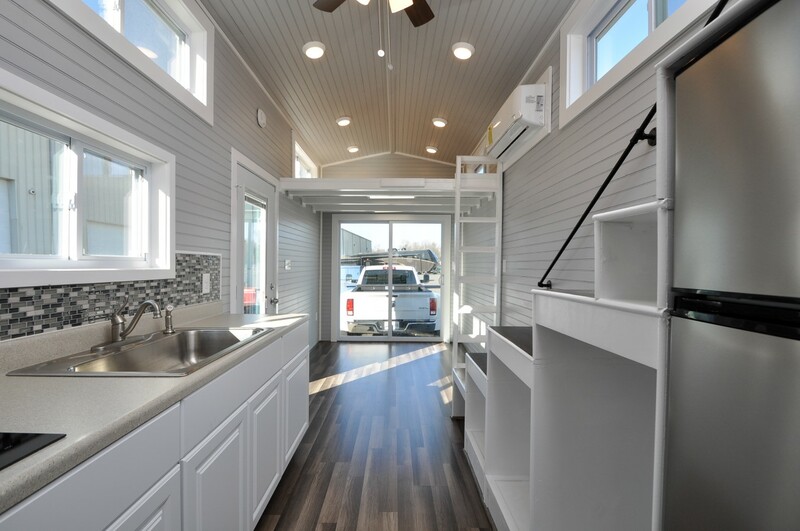 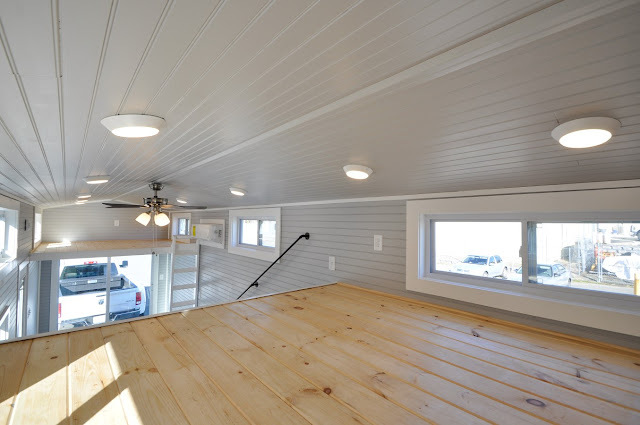 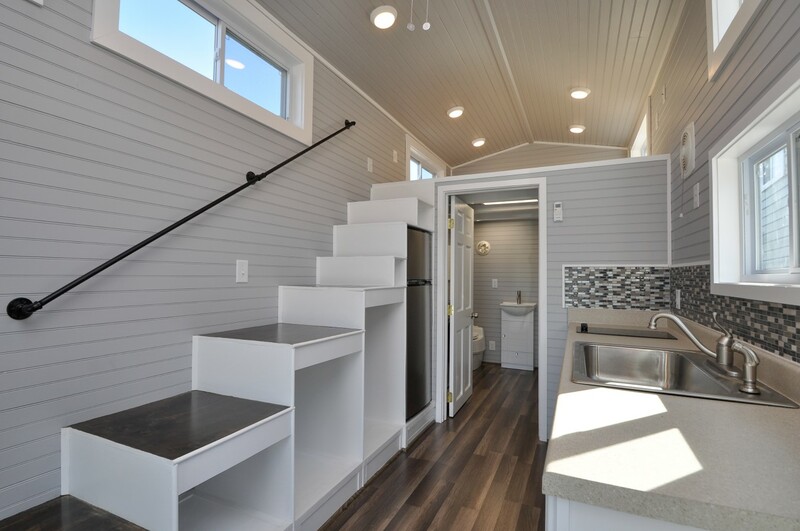 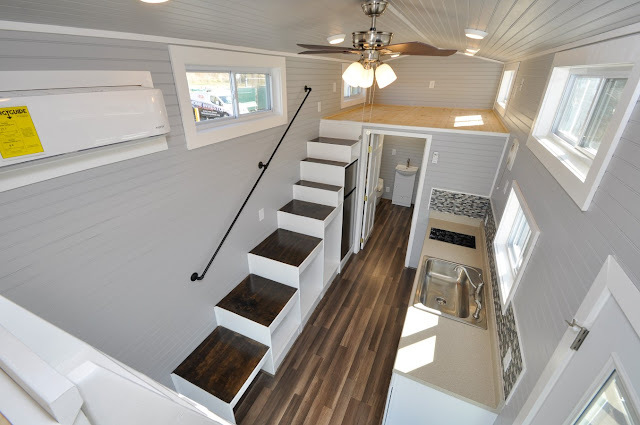 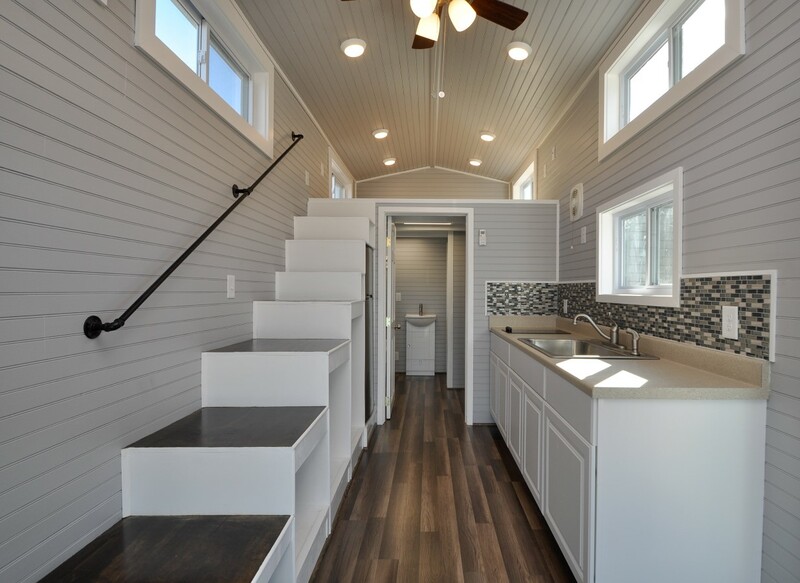 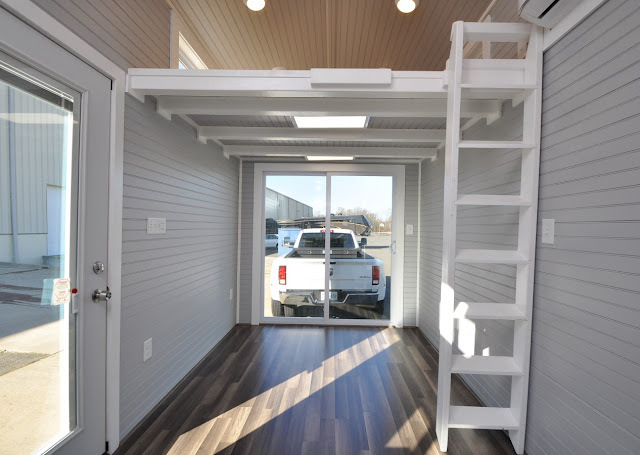 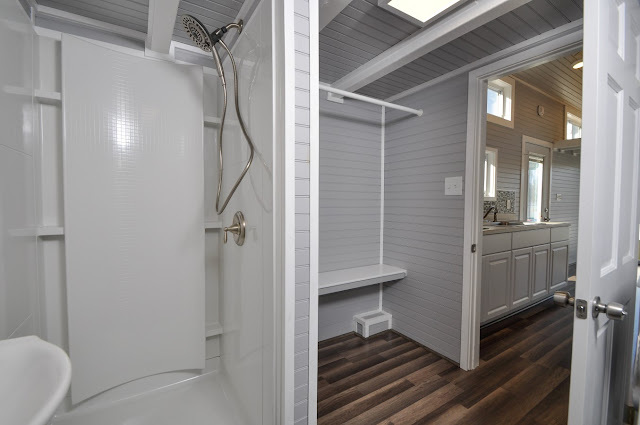 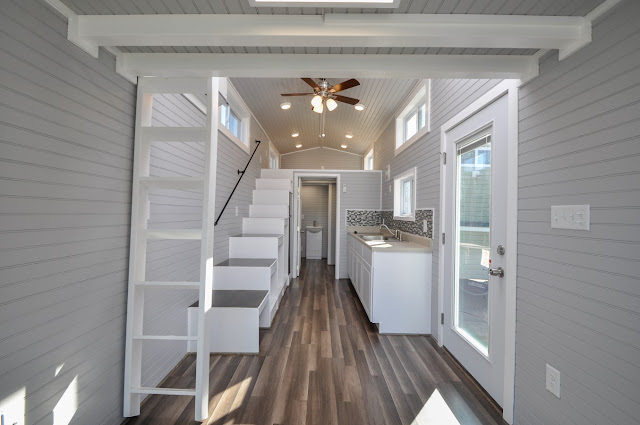 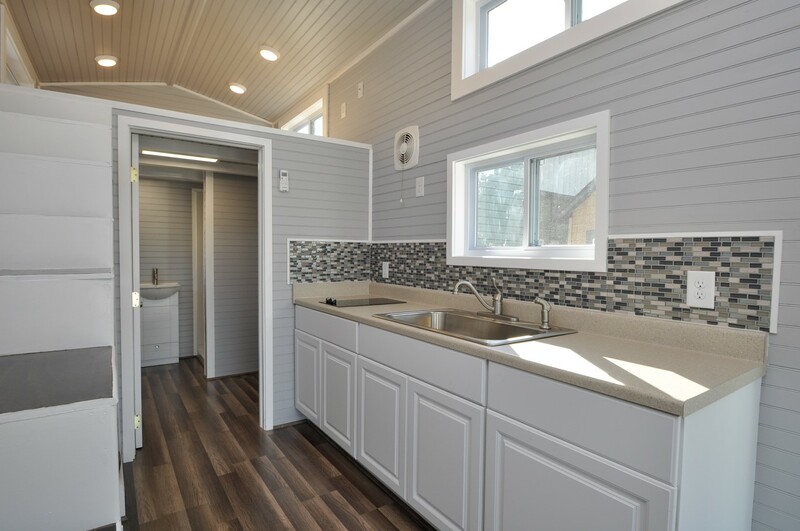 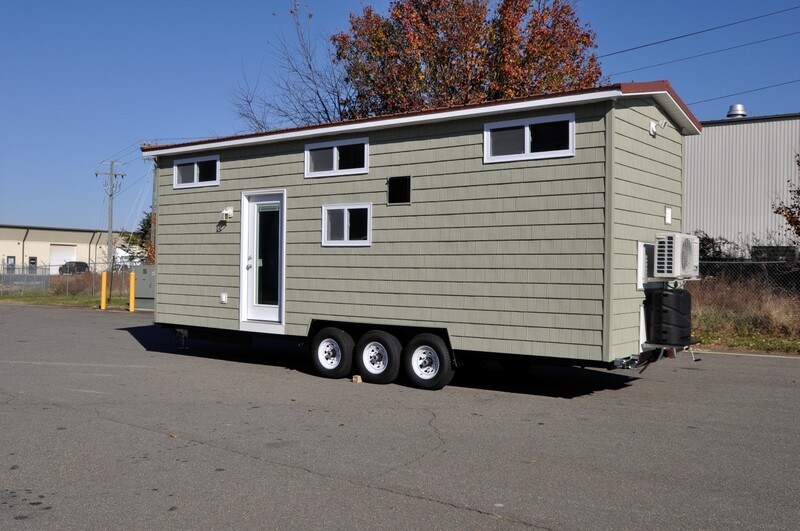 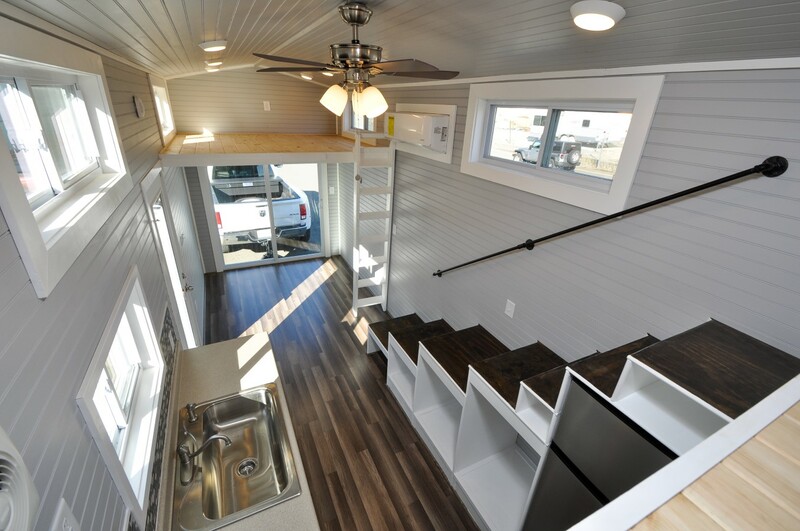 Downsize in style with the Bayview: a bright, modern 28' home from Tiny House Building Company. 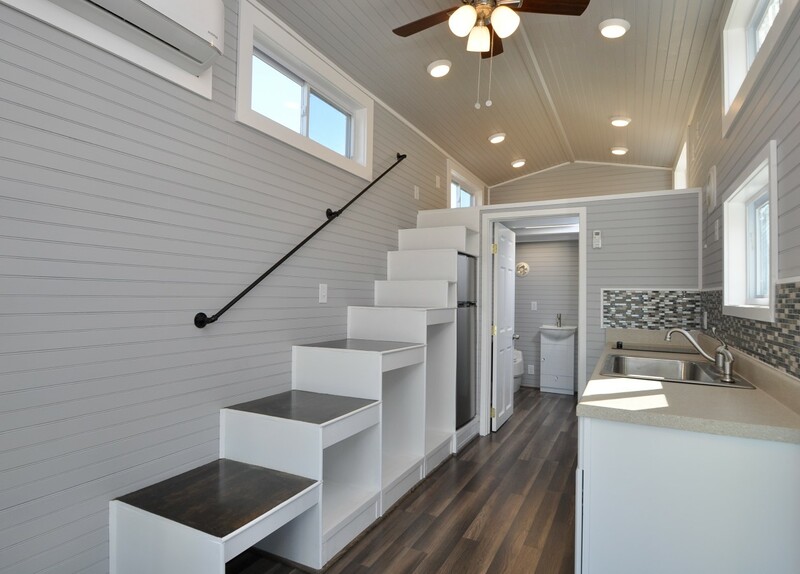 The home's 368-sq-ft interior features a trendy design with gray tones and white trim. The kitchen consists of a custom tile backsplash, a natural butcherblock countertop, a large sink, freidge, and an induction cooktop. 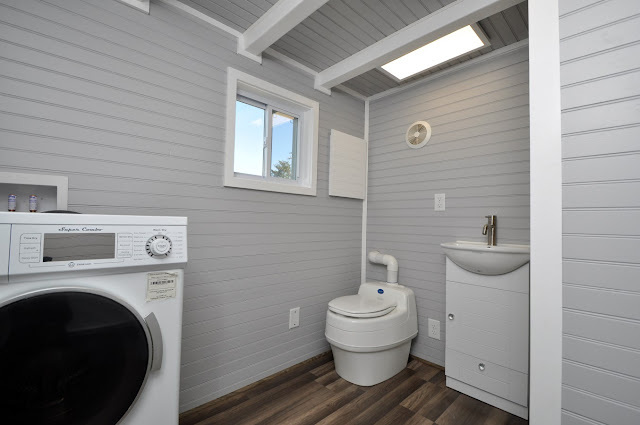 The bathroom has a toilet, a large shower, vanity sink, closet space, and a washer/dryer unit. Up the home's staircase an oversized master loft bedroom that includes lighting, an outlet, and windows. 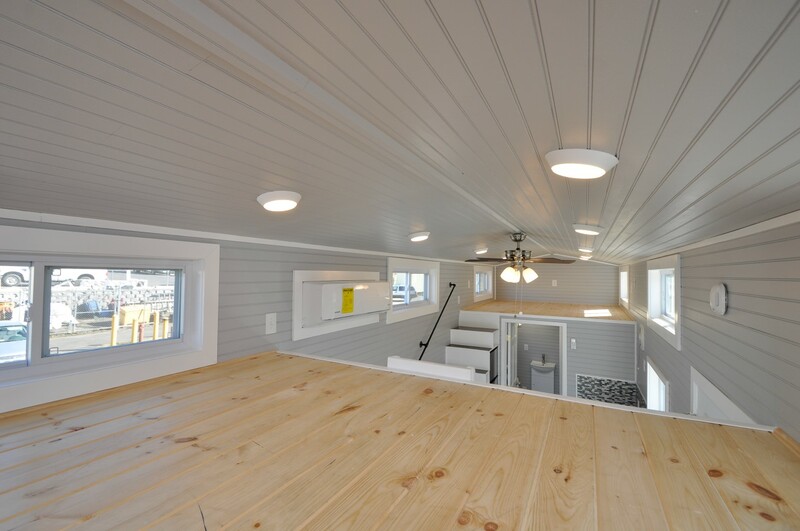 Across from the master loft is a second, smaller loft area that would be perfect as a second bedroom or for use as storage. Back downstairs is a laarge sliding glass door that would be perfect to open up and let in a breeze furing the warmer months of the year! 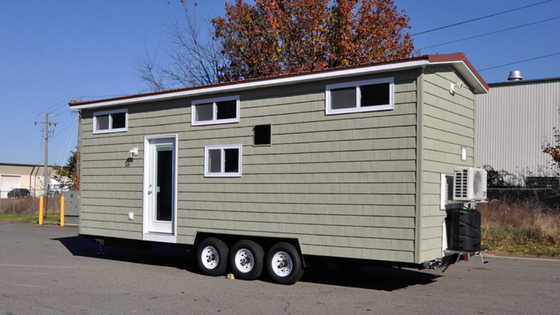 The price for the Bayview is $89,900. 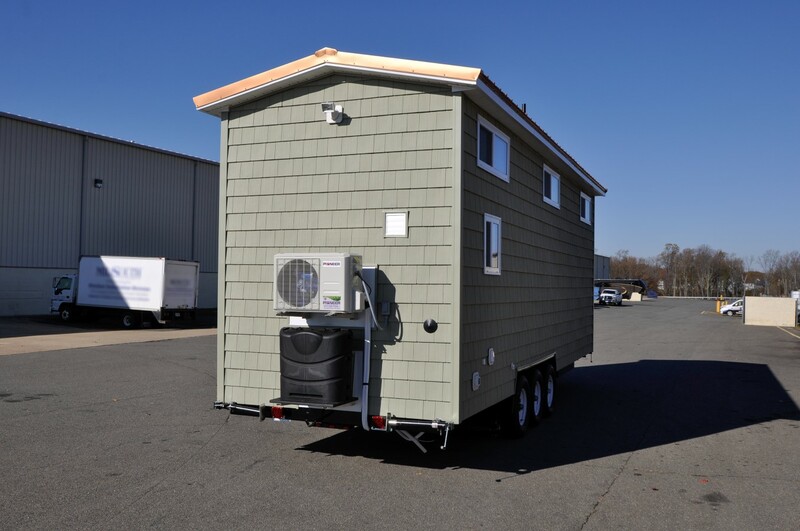 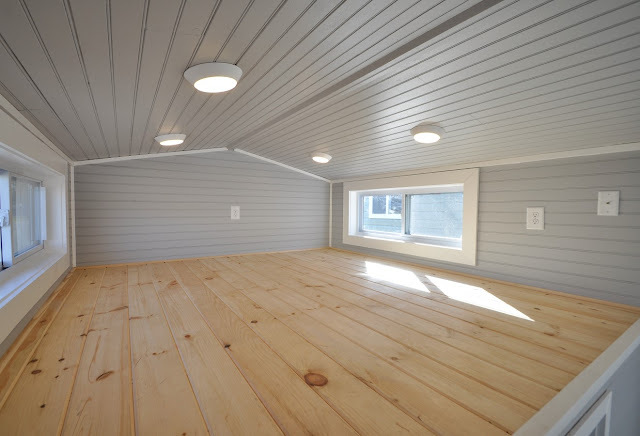 To order or get more information, contact Tiny House Building Company here!